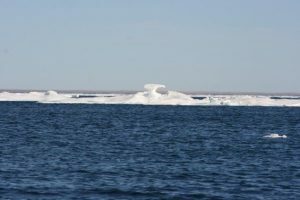 Peter Brooks recounts a very personal account of his recent trip – sailing in the footsteps of Franklin – with the stark impact of climate change on the Arctic and its populations. Late august this year I set off on a ‘bucket’ list expedition – following in the Footsteps of Franklin. I grew up in Tasmania and had always been interested in the voyages of Sir John Franklin – who was Governor of Tasmania (Van Diemen’s Land) between 1837 and 1843 before he returned to England to lead the expedition to find the North-West passage in 1845. Much has been written of the fate of his boats and their crew but the search for them is captured very much by the story of John Rae – who discovered the grisly fate of the expedition and who very much paid the price of his honesty in reporting what he found to an Admiralty and British public who did not care to accept the truth – that Franklin’s men turned (not unnaturally) to cannibalism in their dying days as they starved and froze to death in the bitter Arctic conditions. This very practical Orkney man had spent over 20 years rising through the ranks of the Hudson Bay Company and had a formidable reputation as an intrepid explorer well before he joined the search for Franklin. For those who wish to read more on this fascinating story –The Fatal Passage: the untold story of John Rae, Arctic Explorer who discovered the fate of Franklin by Canadian Ken McGoogan (www.ric.edu/faculty/rpotter/fatal_passage.html) provides a great yarn. The trip seemed to be even more topical since the second of Franklin’s ships – the Terror – was actually found while we were on this trip (Ship found in Arctic 168 years after doomed Northwest Passage attempt – The Guardian). The fate of the Franklin expedition is also interesting from a medical perspective as it seems likely that Botulism – from canned food lead poisoning – from an ‘innovative ‘ (at the time ) drinking water system, and scurvy also contributed to their demise. To finish the short history – Rae was shut out by the British establishment because he dared to tell the truth – the Admiralty could not accept that British Naval persons would eat each other (a particularly ‘unBritish thing do!’) while Lady Jane – Franklin’s wife who had funded much of the search effort would hire her friend Charles Dickens to write very strong rebuttals to anything Rae published in the London Times – the usual way of communicating new explorations in those days. And surprise surprise, of the dozen or so Arctic explorers between 1830 and 1860 – guess who was the ONLY one who was NOT knighted – and I am certain it was not because he was Scottish. Correct – it was John Rae. But back to the north-west Passage and how it is to a large extent a consequence of global warming. I was on a small Russian icebreaker which followed the voyage that Franklin took (we think) as he tried to find the north-west passage in 1845/46. The scenery is stunning – but very raw – cold vistas of dark sea scapes, high cliffs, diminishing pack ice and brilliant sunsets of orange and green. The environment there is incredibly fragile: small plants – the tallest tree I saw in 2 weeks was 6 inches high – an arctic beech. 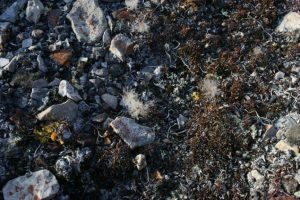 The rocky ground is covered with coloured lichens, mosses and occasional reeds. The bird life was prolific as was the sea life – whales , seals and of course there were polar bears -often seeking a lonely existence on a small ice floe far out to sea. Our count was over 30 during the 12 day voyage. We saw no signs of human life but only the week after we passed through the passage a Chinese liner carried over 1000 passengers through from the Atlantic to the North Pacific. Even though they were accompanied by an icebreaker this sort of thing is surely very risky given the shallow waters of the region. So in one sense I am pleased and very privileged to have seen this pristine environment while it still has ice. 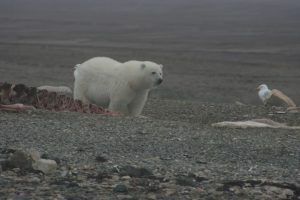 On the other hand can we really imagine what it will mean for these polar bears, the whales and for the native Inuit populations who still try to maintain some of their traditional life styles of hunting and fishing on the ice? 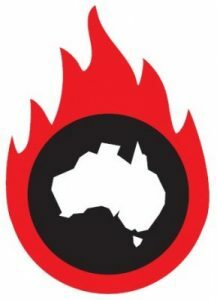 Let alone the millions of people around the world who will be effected by the rising sea levels and other sequelae of our actions in speeding climate change. This small part of our planet is one of the most fragile but demonstrates palpably what we are doing to our world and the legacy we are sadly leaving for our children and grandchildren.